From Hana Mixed School to the world via social media with #LifeInMyShoes, our 3rd Annual Youth Health Camp that ran from May 22nd to 28th, registered a lot of success with over 600 majorly in-school youth between the ages of 10 – 24 years attending from across East Africa. Themed Life In My Shoes, the six day event was aimed at inspiring young people to take a kaleidoscopic analysis of their lives and reflect on how far they have come, what they want to do, where they derive their inspiration, the challenges and struggles they are faced with and their contribution to society. Some of the ways through which information was shared included; Focused Group Discussions, peer-peer learning sessions, one on one interactions on strategic topics like alcohol, drug and substance abuse, body changes, menstrual hygiene, relationships, teenage pregnancy and HIV/STI’s with the invited cultural icons giving insight on career guidance and life skills that had young people enthusiastically engaged to break down the various myths and misconceptions about sexual and reproductive health for example in one of the sessions with the girls on personal hygiene, a participant speculated that a teacher had told them to clean their private parts with soap. The inspirational speakers that motivated participants at the camp included Humphrey Nabimanya (Founder and Team Leader Reach A Hand, Uganda), Esther Kalenzi (Founder of 40 Days over 40 Smiles Foundation), Nana Kagga ( Petroleum Engineer, script writer, photographer, producer and mother), Dr. Naboth Coole (President, Hope for Children with Disabilities), Maxima Nsimenta ( CEO of Livara Shea Butter Cosmetics). 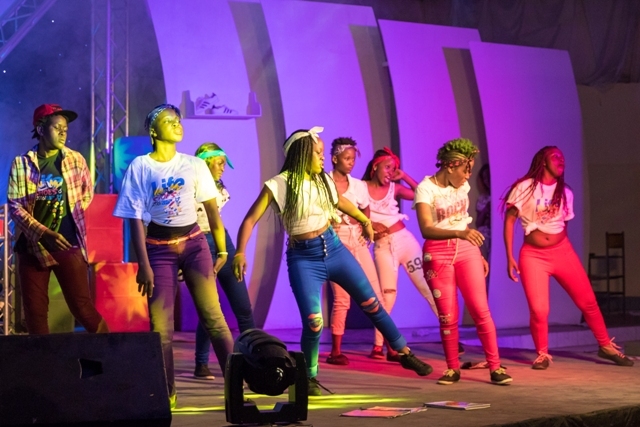 Still at the event, sensational activities included; Counseling sessions, HIV Testing and Counseling (HCT) service, Fashion night, comedy night, community outreach, flashmob and sporting activities like team-building and outdoor sports. The dance theatre competitions that had 11 school’s communicating a theme through a dance routine and the judges’ favourite for their outstanding, smart and organised showcase; Bishop’s Cypriano Day Campus whose theme was Student-Teacher relationships walked away with 3 million Uganda shillings and an opportunity to perform at the Segal Family Foundation Annual General Meeting in August at Munyonyo CommonWealth Hotel. With all the above activities, we can gladly say that the Annual Health Camp successfully came to an end with all participants, some sad about losing others excited about how proud they had made their school but above all, the team at Reach A Hand is happy to say that as each one walked out of the gates on the 28th, they walked out a different person with a more positive attitude and informed about their bodies, their needs and rights. All this was made possible thanks to the camp partners who included Rutgers WPF, Segal Family Foundation, MTV Staying Alive, UNESCO, UHMG, DSW Uganda, Standard Chartered Bank, NBS Television, Capital FM, Events Warehouse, Hana Mixed School etc.